Tucked away in a tiny little village called Hognaston in Derbyshire is one of my favourite pubs in the whole world. 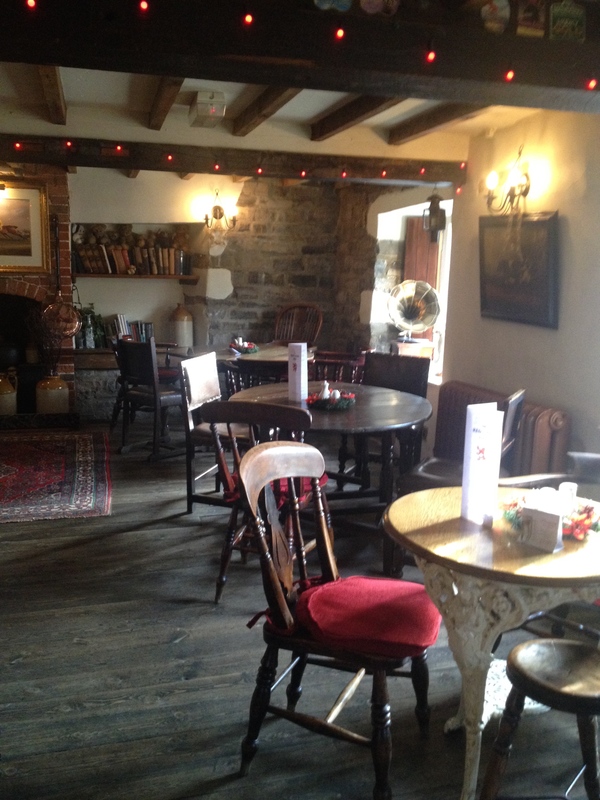 It’s called The Red Lion and I love it’s traditional, cosy atmosphere, not to mention the absolutely fabulous food! 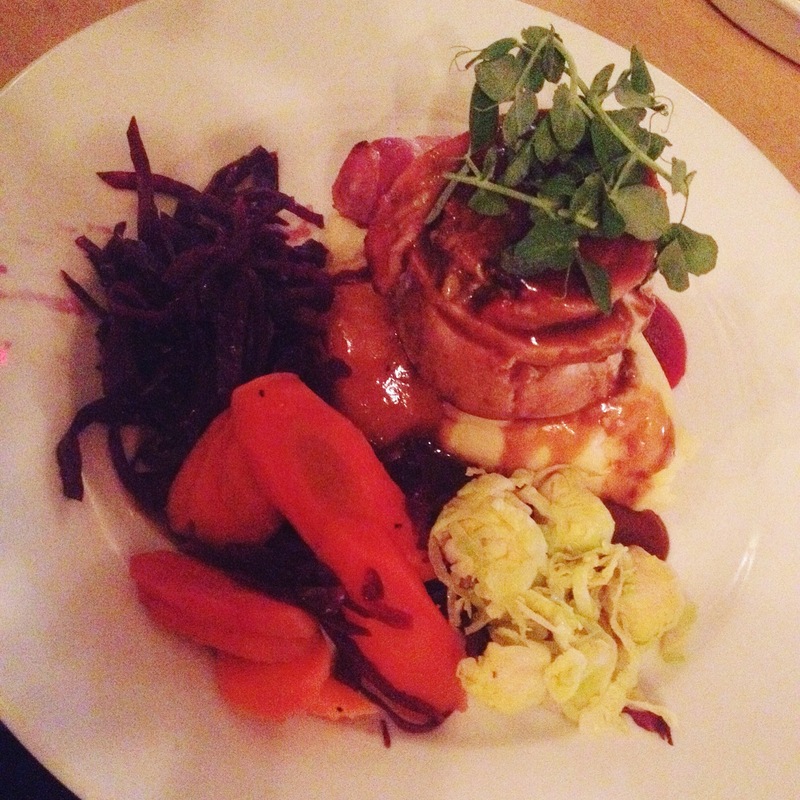 The food at The Red Lion is amazing at any time of the year and I can’t remember a time when I haven’t loved my meal. The very best time to visit thought is at Christmas. Their Christmas dinner is one of the best I’ve ever tasted and I couldn’t resist going back this year for another portion! On the day of our visit we had pre-booked a table for dinner. You don’t always have to do this but it’s probably advisable at busy periods as the restaurant area can fill up pretty quickly. I’m sure there must be plenty of history behind The Red Lion but I haven’t done the research so I would know what it is. 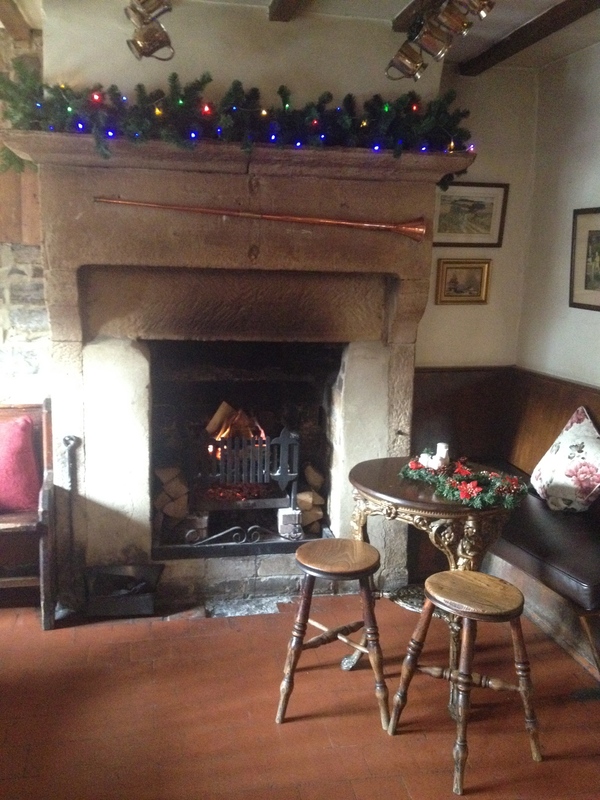 The pub still has a lot of period features such as wooden beams and a stunning focal fireplace. 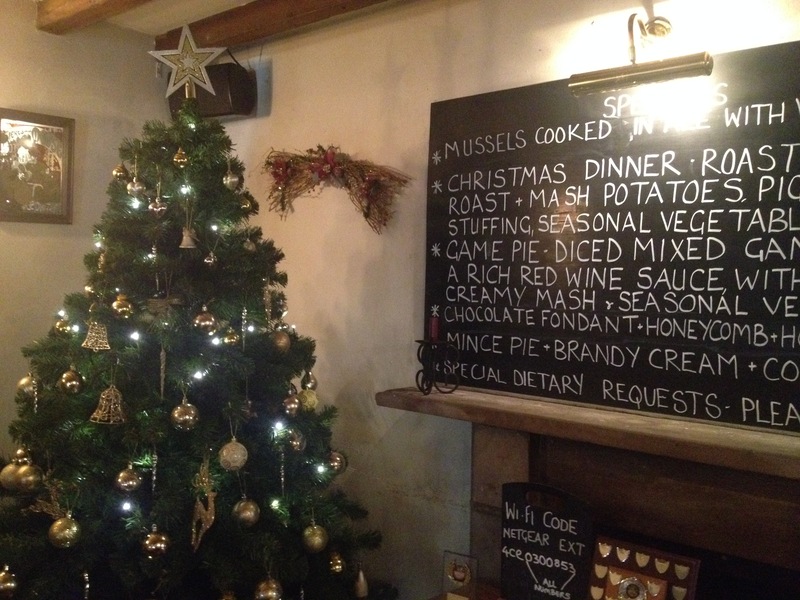 With the addition of some beautiful Christmas decorations this is the perfect place to sit and enjoy some festive fare. Mr Mess and I always say that we wish we could live closer to The Red Lion so that we could just nip in for a quick drink. I think we’d both have to agree that it’s a good job we don’t as we’d probably end up spending all our money on their menus and end up weighing a tonne! Mr Mess, Miss Mess and I all opted for the traditional turkey with all the trimmings and what fabulous trimmings they were. You had succulent turkey with stuffing and pigs on blankets, roast and mash potato (their mash is just the nicest in the whole world!) and a mass of vegetables. Mini Mess just had to be different and chose fishfingers and chips, which is her current favourite meal. All food was glorious, I ate far too much and I don’t regret a thing! 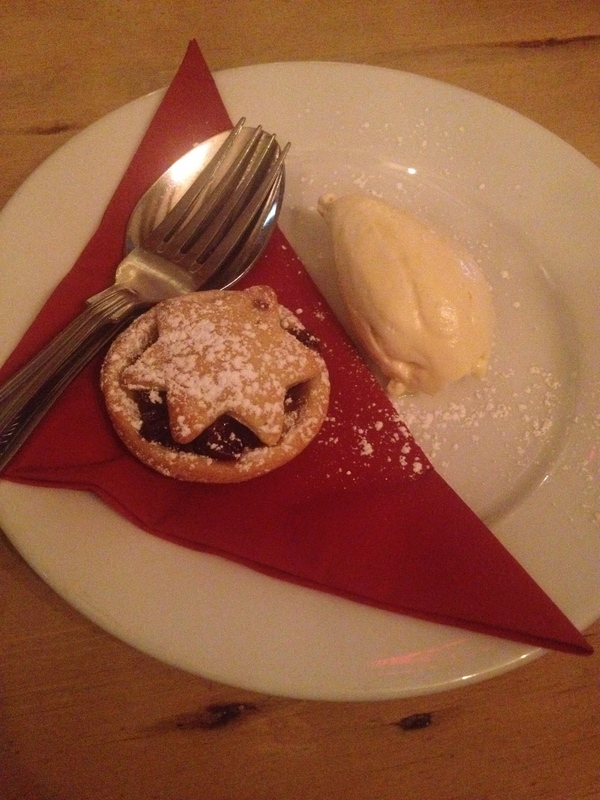 For dessert, I chose a mince pie with brandy cream and a coffee (although Mini Mess nabbed half of my pie!). Miss Mess had a brownie chocolate sundae which her Daddy helped her to finish off. After yet another delicious meal at The Red Lion, I couldn’t recommend them enough. One year I’d even be tempted to go there for their Christmas Day menu. The village of Hognaston is like something out of a Postman Pat episode and well worth the drive out there. 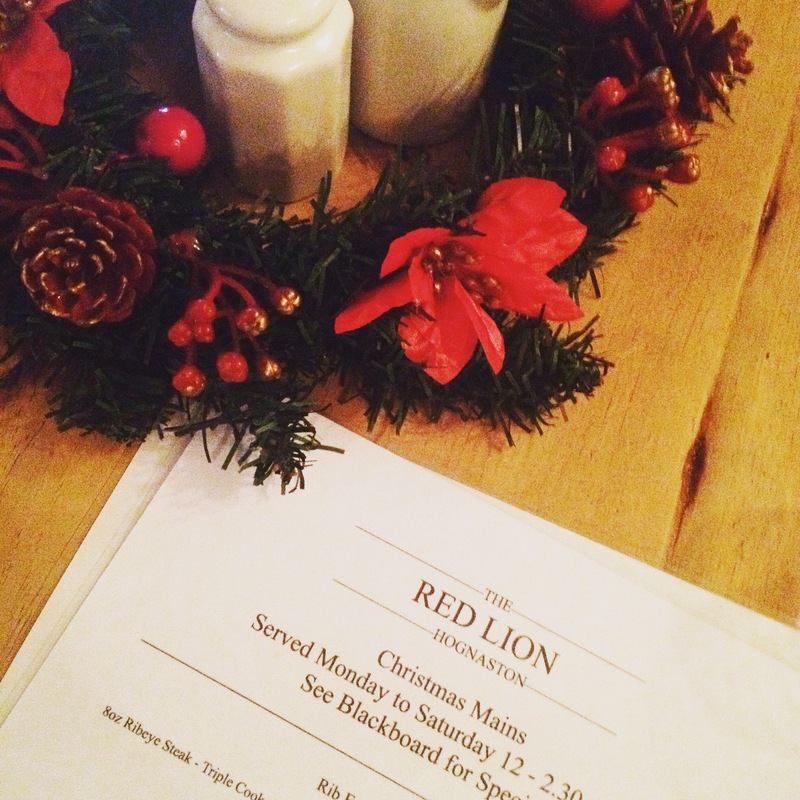 Do you have a favourite place to go for a Christmas meal? Let me know in the comments below?